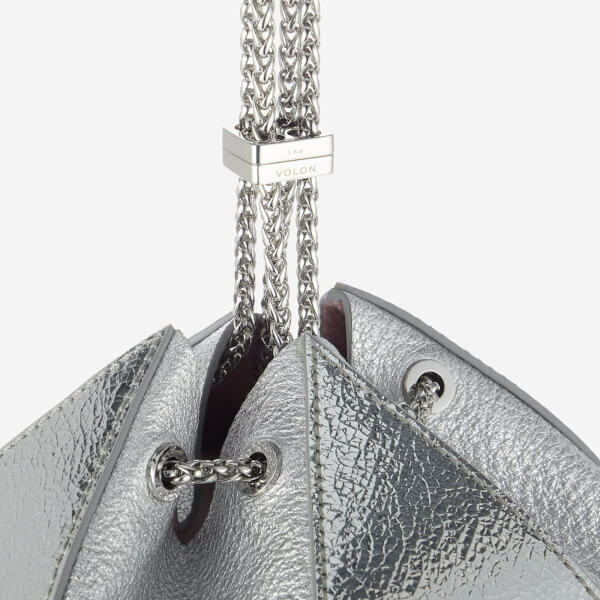 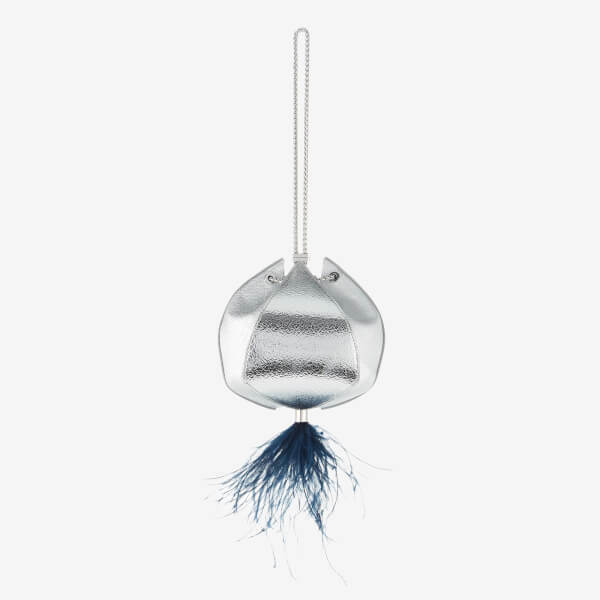 Inspired by paper lanterns, the silver ‘Cindy’ bag from South Korean label, The Volon, showcases a spherical silhouette made up of triangular panels of cracked and textured metallic-effect leather. 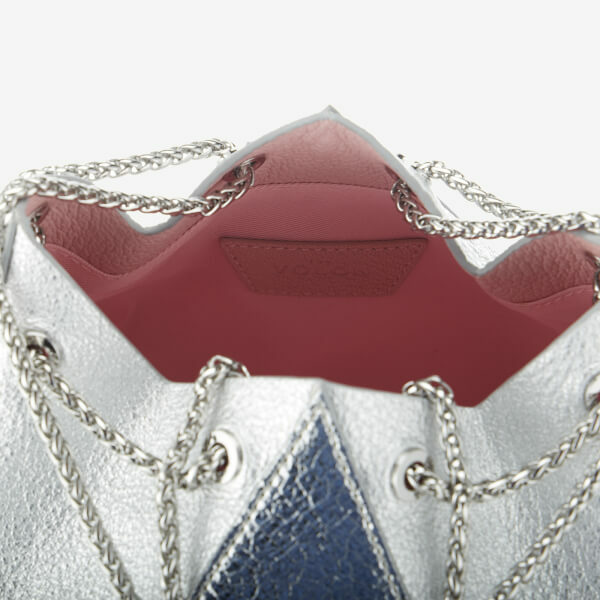 Transported via an adjustable silver-tone chain strap, the bag features a drawstring top and fully-lined interior. 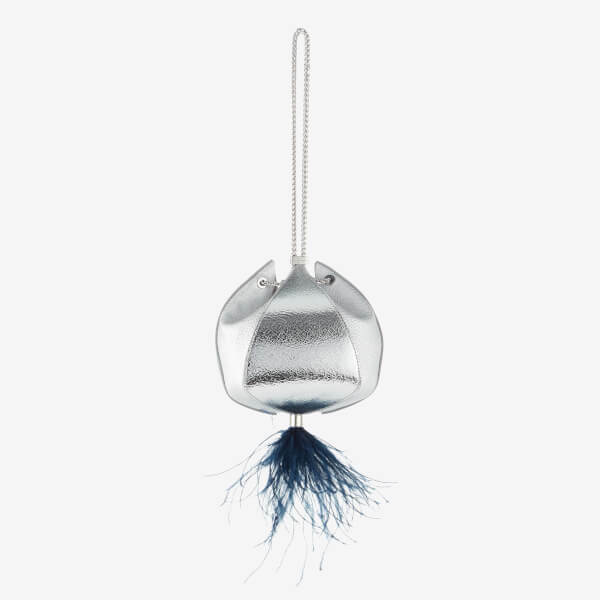 A wispy navy blue ostrich feather embellishment hanging from the base completes the unique design.